Accessibility: Entrance is accessible for people with mobility aids. Washrooms are accessible and gender neutral. 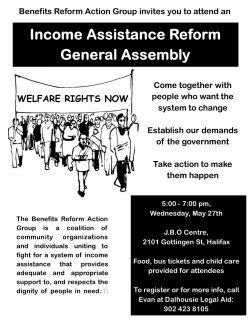 People on income assistance and their allies are gathering to form demands of the government around progressive income assistance reform. The Nova Scotia Department of Community Services has been saying they are transforming income assistance since last year. Given the secretive nature of this transformation, and two years of freezes and cuts from the McNeil Liberal government, we have reason to be concerned about the shape this transformation will take. If the government is not going to consult those effected, it is up to us to make our voices heard. 1. Affordability: Assistance does not provide enough for housing and decent food. 2. 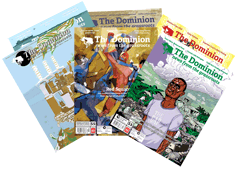 Employment and education support: DCS makes it very difficult for people on assistance to access education, and fails to support people to find good jobs that provide adequate income. 3. Special Needs and people with disability: DCS has been making it increasingly difficult for people with disabilities to have their health needs met, placing hardships on people with chronic illnesses and disabilities. We will be breaking down into three groups to form demands of the government to fix these problems, before reassembling as a group and voting on our platform to improve income assistance. While everyone is welcome, the event will privilege the participation of people on income assistance. Registration is preferred, especially if childcare is required. Bus tickets, child care and a meal will be provided.